Read up on happenings and new attractions at our jewel of a train station and museum. 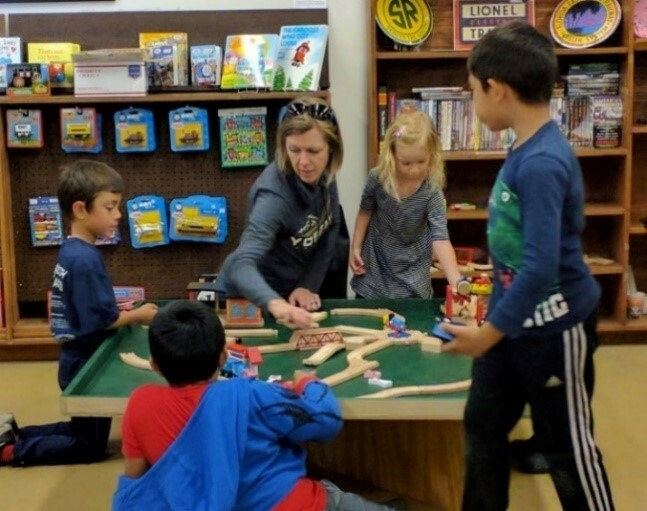 Our latest fun for kids — a toy train table in our Visitor Center. Kids don’t need to be told twice to jump in start working on the railroad. Which famed animal made a surprise visit to our Bunny Express celebration. And what Ben Franklin might have thought about our free book box at the main entrance. To access the newsletter, click here!